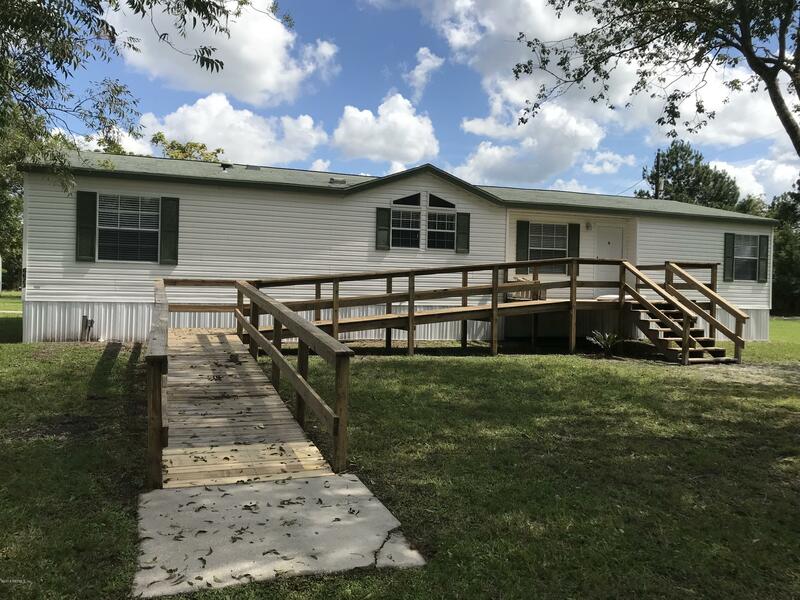 Beautiful 2008 double wide Mobile home on 4 acres fenced and cross fenced. Plenty of room for your horses and garden. New carpet, paint and skirting. In excellent shape. 3 large bedrooms and 2 baths. Large kitchen with extra cabinets, an island and bar. Beautiful tile shower in master bathroom. Entire property is fenced/crossed fenced. Only minutes to I-10. Great elementary school.